This isn’t your typical real estate site, and we aren’t your typical REALTORS. What do we do? We sell real estate. But there is more to life than just work. Our goal is to be your one-stop-shop for all things Shenandoah Valley-related. As the Valley Roots Team at Kline May Realty, we want to provide you with a website that explains why it’s great to plant your roots in the Valley and not just present you with a collection of homes we’ve got for sale. We help people buy and sell homes, farms, and land. Derik is a lifetime local, who has been in real estate since 2001. He’s our residential and new construction expert with an outstanding knowledge of Valley establishments. Jeremy attended college in the area and in an effort to be more than just your average real estate agent, intentionally spent many years in the construction industry to be proficient in the residential market too. Both Derik and Jeremy grew up on farms, and they both have experience selling Valley farms and land. 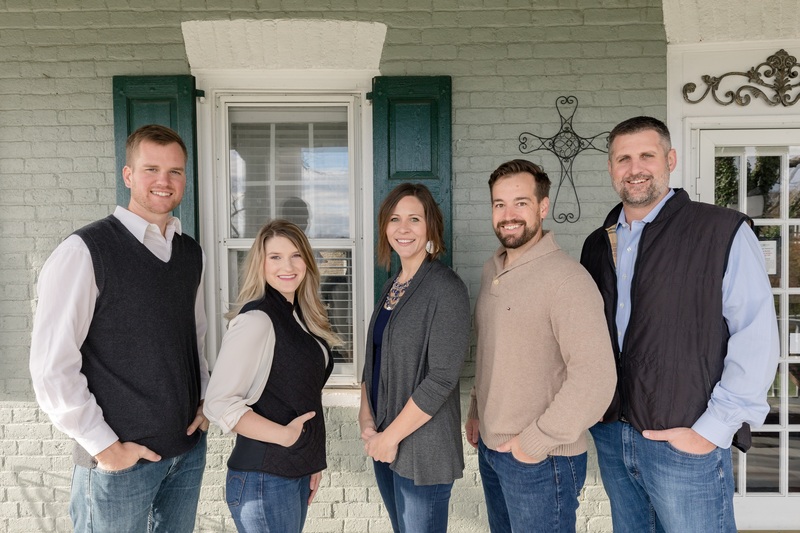 They are well-versed in the intricacies of selling raw land and agricultural properties in our area, and both are familiar with local farm practices. Michael graduated from Eastern Mennonite University in 2010 and pursued a career as a youth pastor at a local congregation. He has also worked as a landscaper and a carpenter. As a REALTOR, Michael looks forward to sharing his passion for the Shenandoah Valley with others and guiding his clients through the process of making a house into a home. A fundamental part of real estate is relationships, and Michael’s expertise in relationship-building will prove as a great asset to the Valley Roots Team. If you have a question about anything Valley, call us, e-mail us, Facebook message us, text us, tag us, or if none of that works send a carrier pigeon. We’re here when you need us and make an effort to return contact in a timely fashion, even on weekends.